An apartment of two rooms + kitchen, 44,5 m², in a quiet area in the southern city center. Elevator in the building. 4 + 2 beds. 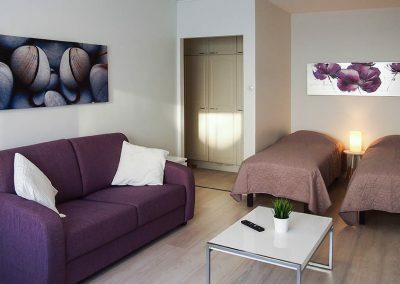 Living room with double sofa bed, flat-screen TV 40 “, french balcony, an alcove with two single beds. 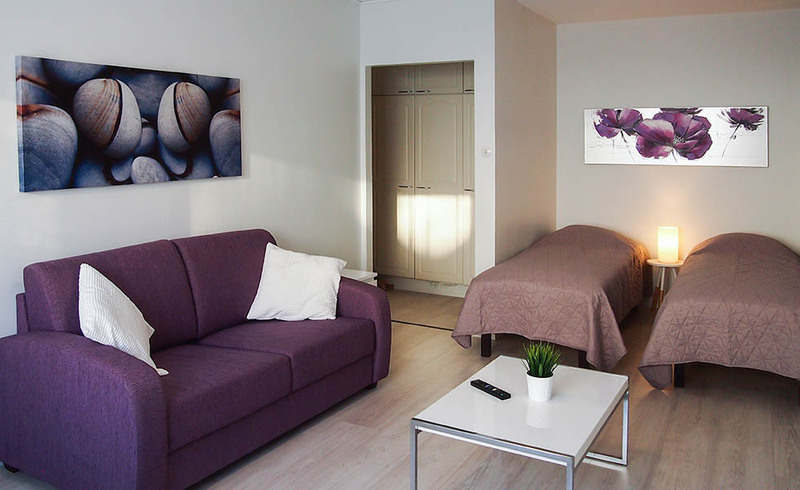 Price 80€/night/2 persons + a fee of 40€/stay/week for bed linen, towels and cleaning.